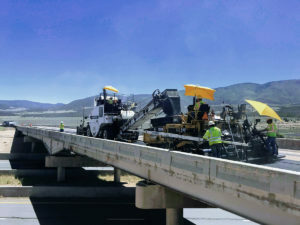 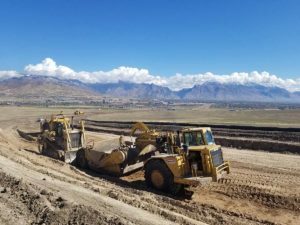 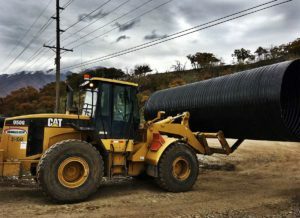 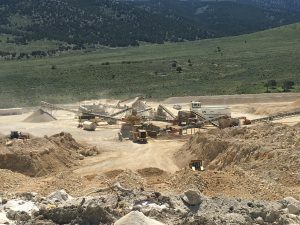 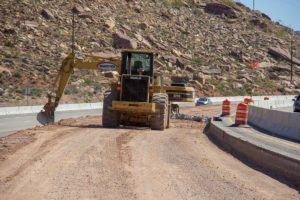 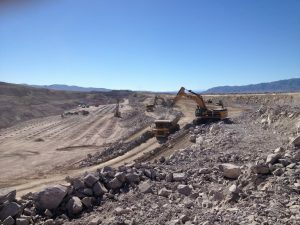 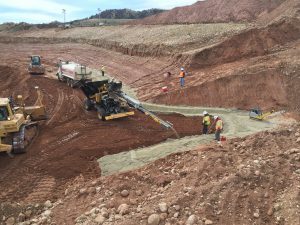 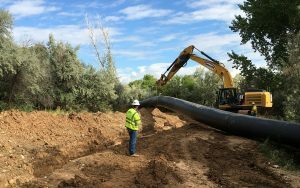 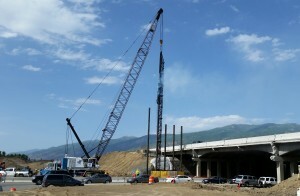 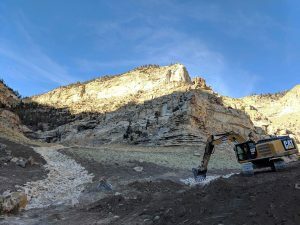 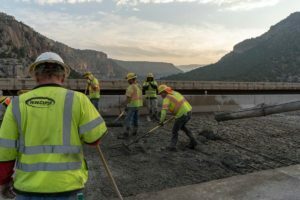 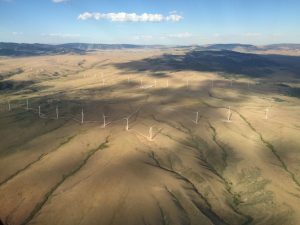 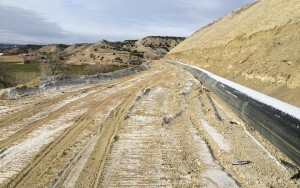 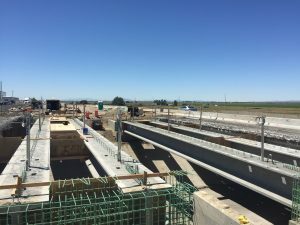 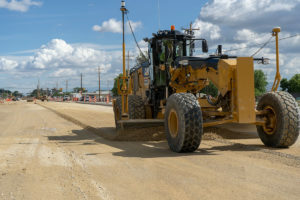 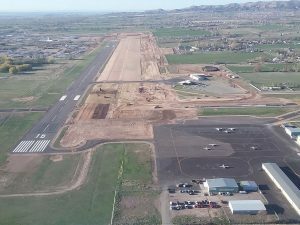 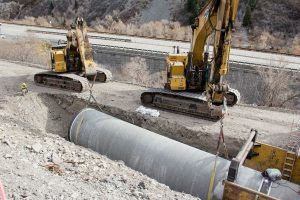 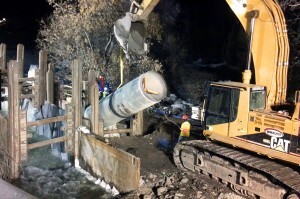 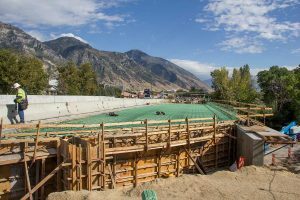 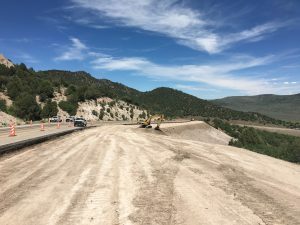 The project consisted of the construction of 2.3 miles of 96 inch diameter mortar-lined, welded steel pipe in Spanish Fork Canyon. 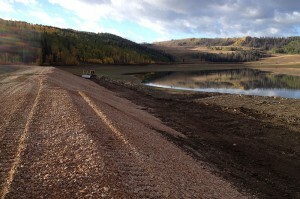 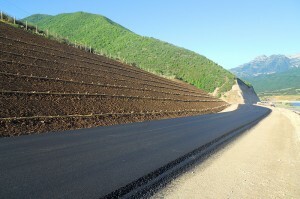 The project was constructed next to traffic on steep mountainous terrain during the winter. 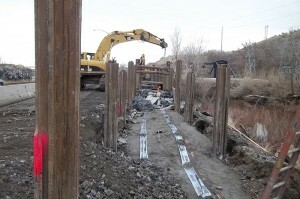 Ancillary facilities included a blow off structure, valve control structure, and road and wetland restoration. 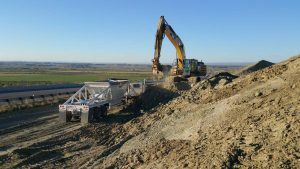 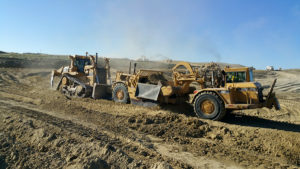 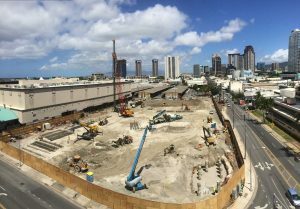 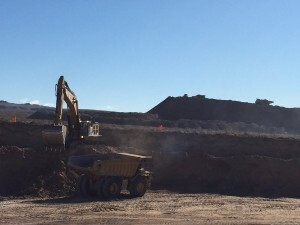 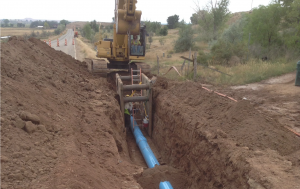 Hydraulic excavators were used in pipeline excavation along with our slide rail shoring system. 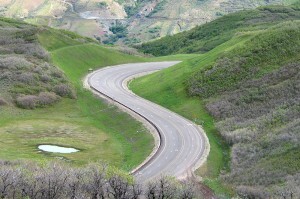 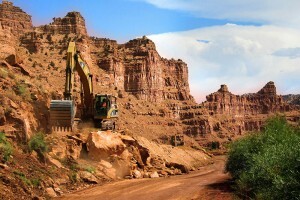 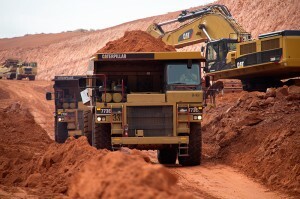 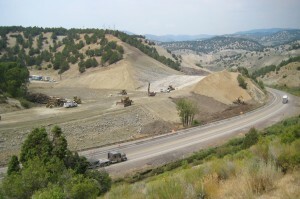 The work paralleled US-6 highway and the steep mountain face adjacent to the highway. 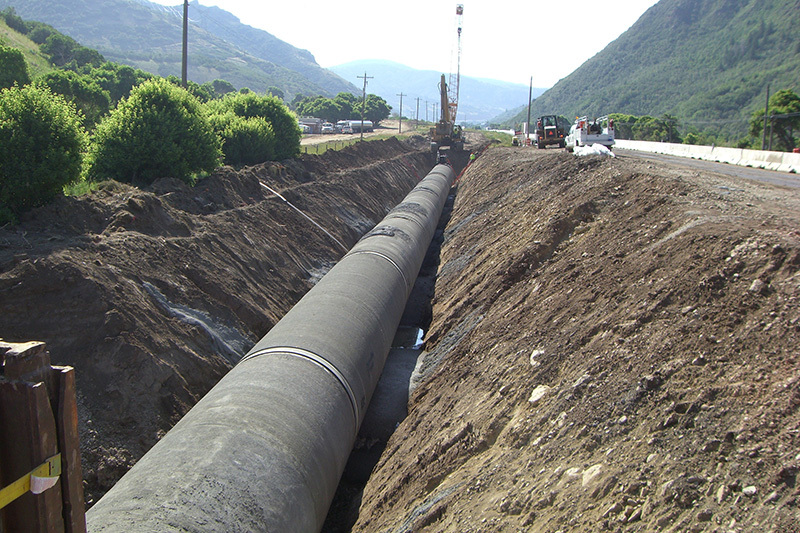 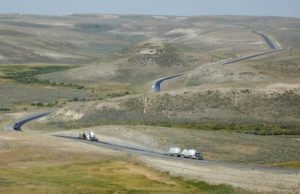 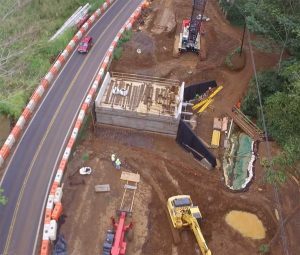 The alignment of the pipeline was effectively between the shoulder of US-6 and the cliff side. 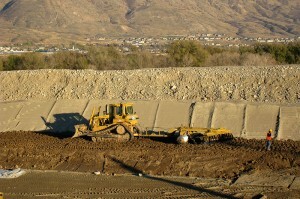 W. W. Clyde provided scaling and support of specific slopes to protect the operations from rock fall. 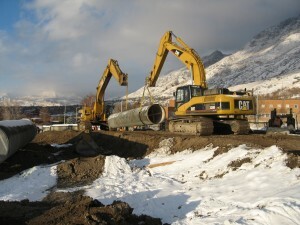 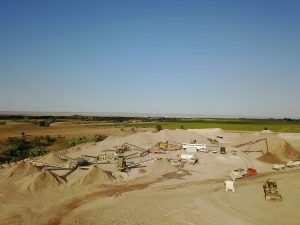 The pipeline was installed through several wetlands which required training, protection of unaffected portions, and restoration of the disturbed wetlands. 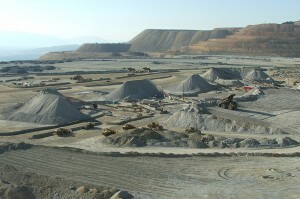 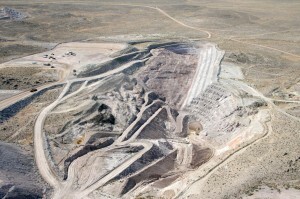 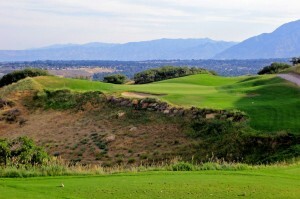 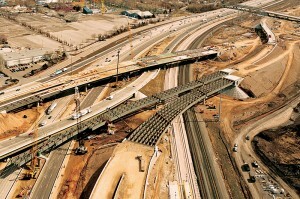 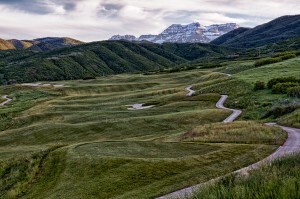 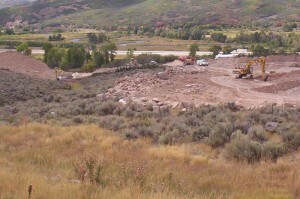 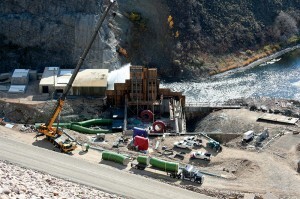 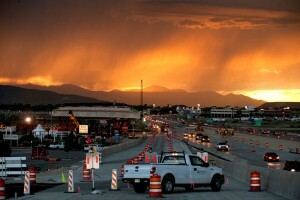 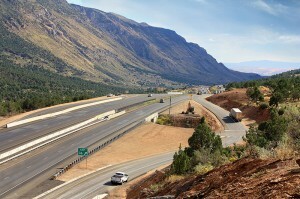 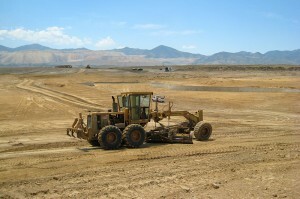 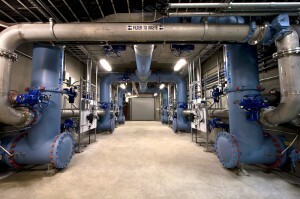 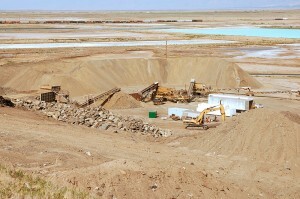 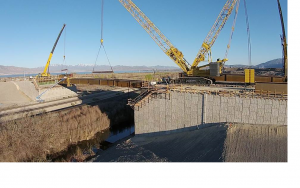 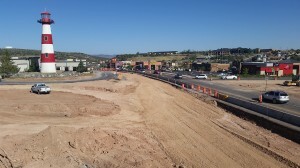 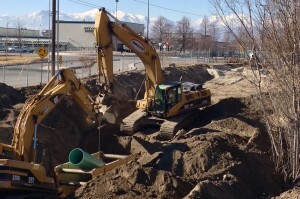 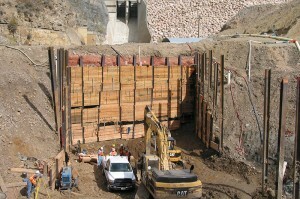 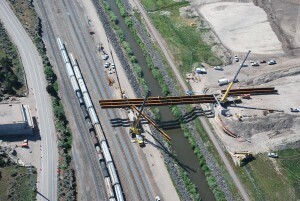 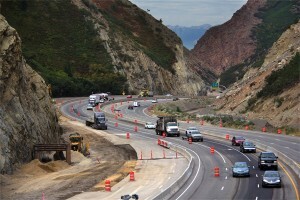 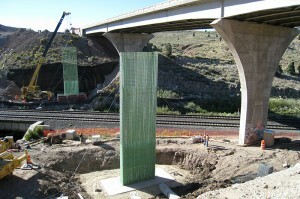 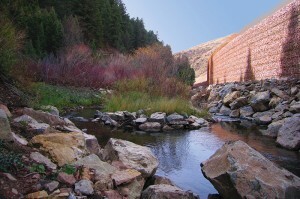 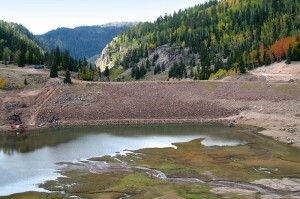 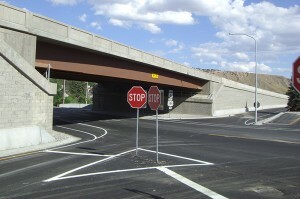 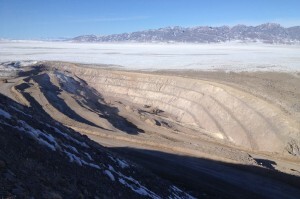 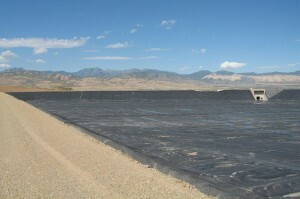 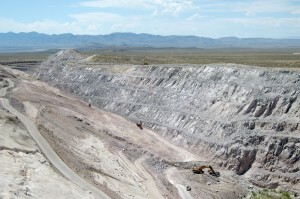 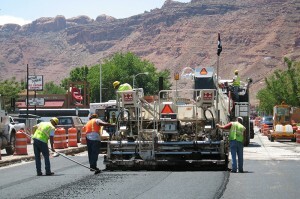 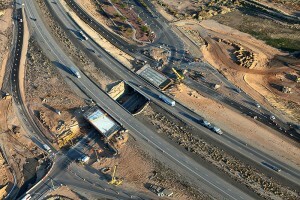 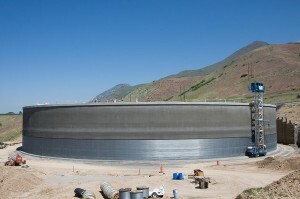 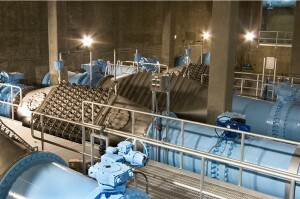 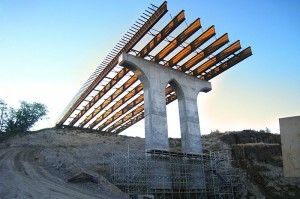 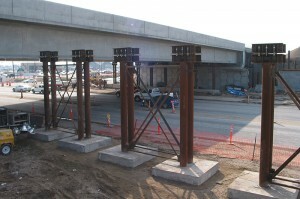 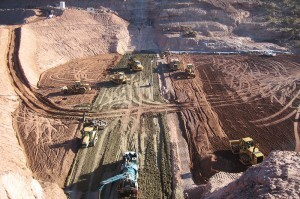 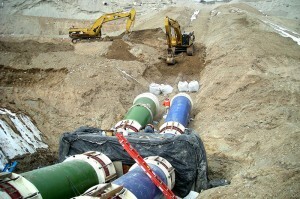 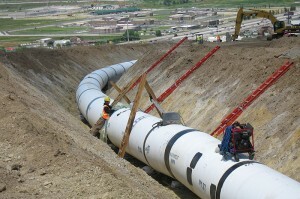 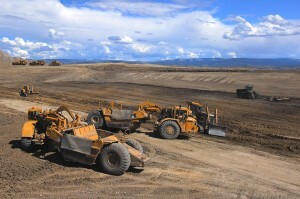 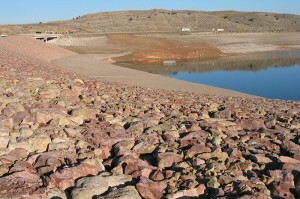 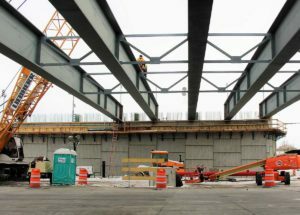 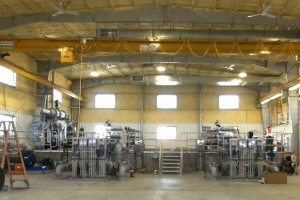 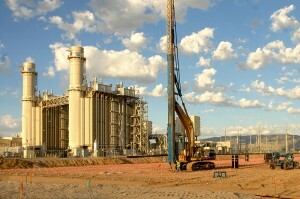 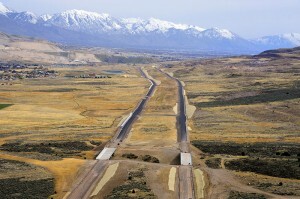 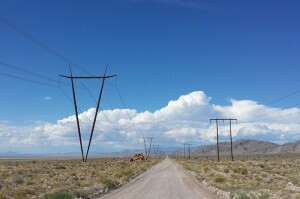 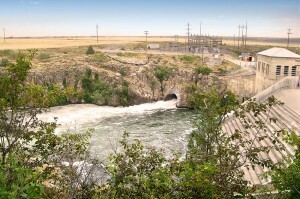 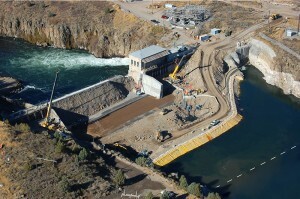 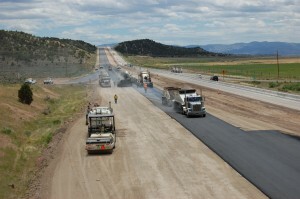 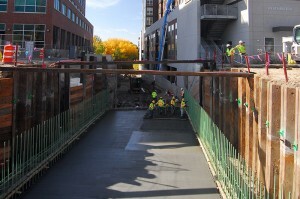 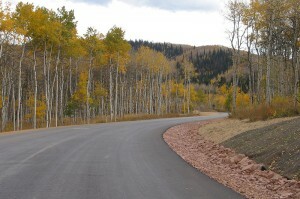 This project was awarded the Utility Project of the Year award in 2009 from the AGC of Utah.